Today's B2B sale requires buy-in from many different constituents with different titles and responsibilities. Closing business requires talking to them all. But the marketplace is noisy, how can ensure your message is heard by everybody that needs to hear it? 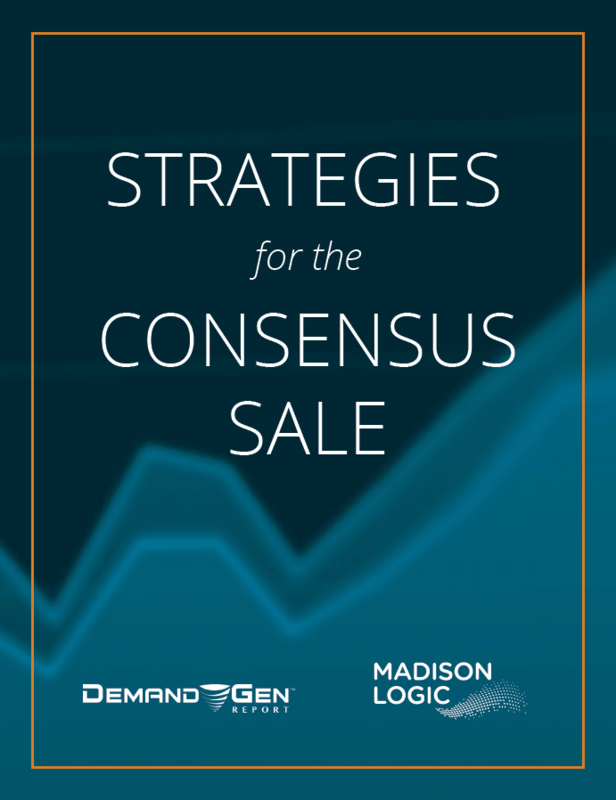 This report, based on a survey of more than 100 B2B marketing executives reveals the obstacles facing the consensus sale and how savvy marketers are overcoming them. And much more. Download your copy today to get the insight you need to effect positive change in your organization's account-based marketing efforts. I consent to having Madison Logic collect my details by checking this box. © Madison Logic. All rights reserved.